Pros: By viewing primary source documents, students learn about history firsthand, rather than through the lens of a textbook author. Cons: Hard-to-read texts make completing many activities difficult. 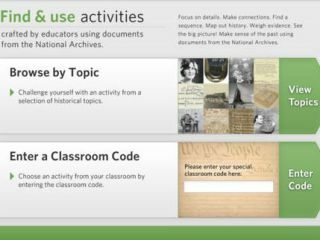 Bottom Line: This text-rich app encourages students to conduct their own analysis of history, but the formats and graphics may prevent them from making a thorough analysis.